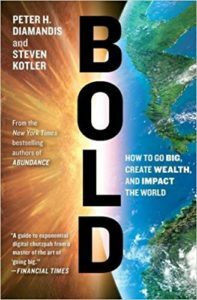 Bold is an extensive how-to guide on how to use exponential technologies, crowdsourcing, and crowdfunding. This book is an extensive how-to guide on how to use exponential technologies, crowdsourcing, and crowdfunding. The first part focuses on the exponential technologies that are disrupting today’s Fortune 500 companies. It also enables entrepreneurs to go from “I’ve got an idea” to “I run a billion-dollar company” at a much faster rate. The second part of the book draws insights from entrepreneurs like Larry Page, Elon Musk, Richard Branson, and Jeff Bezos. Bold is not just a manual but also a manifesto. 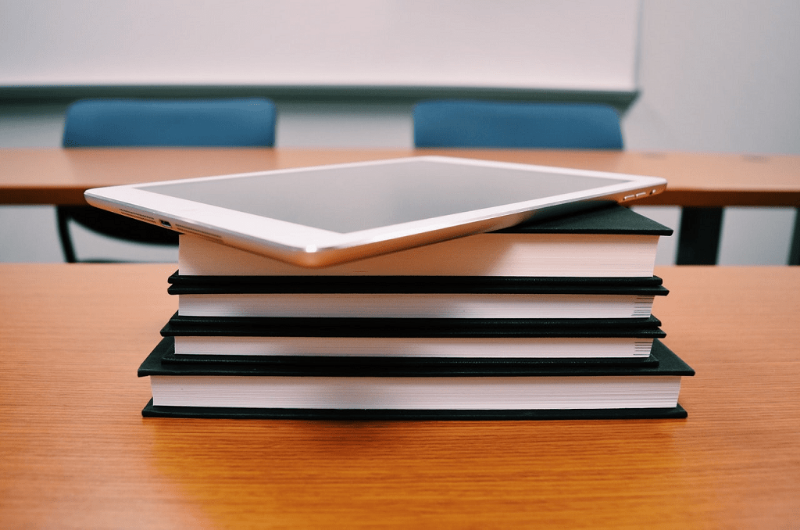 It is the go-to resource of entrepreneurs on the use of today’s technologies. Whether you’re a producer/manufacturer of shoes or into mining, the authors’ enthusiasm for what’s possible will surely win you over. The “Six D’s of Exponentials” structure lays the groundwork. The authors share the influential, cheap tools available to everyone right now to fund, build and market your great idea. The book has accounts of robotics and artificial intelligence take home how much the world will change within the next decades. The authors share with us the formidable, cheap tools available to all of us right now to fund, build and market your bright idea. The book contains chapters regarding crowdsourcing, crowdfunding and exponential technologies. This book is highly recommended to investors, startup companies and entrepreneur with great ideas. 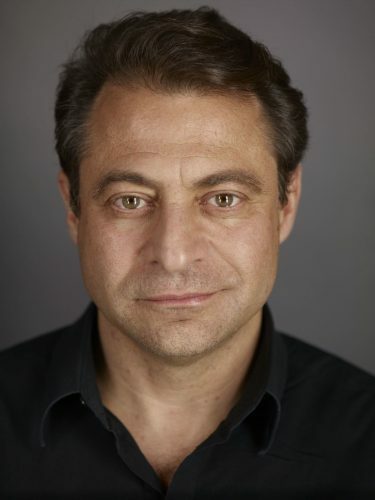 Dr. Peter H. Diamandis is an international innovator in the fields of innovation, incentive competitions and commercial space. In 2014 he was named one of “The World’s 50 Greatest Leaders” – by Fortune Magazine. Diamandis is the Co-Founder and Vice-Chairman of Human Longevity Inc. (HLI), He is also the Co-Founder and Executive Chairman of Singularity University, a graduate-level Silicon Valley. Diamandis is also the New York Times Bestselling author of Abundance – The Future Is Better Than You Think and BOLD – How to go Big, Create Wealth & Impact the World. A long time ago, only pharaohs, kings and emperors had the resources to solve society’s biggest problems. Then, along came the Industrial Revolution, power dispersed to the new chieftains of the industry who had both intellectual and financial capacity to lead us in the expansion of society’s modernization. Nowadays, anyone with big ideas, commitment, passion and of course has access to the newest technology and capital needed to be able to make that idea a reality. Linear Growth: idea that growth occurs in small, stable steps, is followed in the past by commerce. However, different advances in technology launched linear growth to the world of “exponential growth”. Six D’s of Exponentials – This explain the power of exponentials, the last ones more formidable that the rest. “Digitalization” – The chain reaction from advances in information technology begins here and makes collaboration easier. “Deception” –It’s hard to see and appreciate because growth is miniscule at this stage. “Demonetization” – Meaning “the removal of money from the equation. “Dematerialization” – Once-solid objects take less-solid forms. “Democratization” – At this level, the hard costs of buying and owning an equipment drops rock-bottom that just about anyone can afford it. However, “exponential technology” often fails to live up to its hype. In the beginning, it is often difficult to apply. Small competitors who focus on innovation normally outwit large, more established firms in using upcoming technical opportunities. To compete, leaders of big firms must divide new initiatives from the regular workflow. Offer them the freedom to think, to take risks, stumble, stand up and try again. These inherent rewards nurture an environment of individuality that encourages experimentation and quicker learning. Elon Musk, Richard Branson, Jeff Bezos and Larry Page epitomize the passion and motivation that compel bold pursuits. They take risks. Page, Musk, Branson and Bezos share another critical characteristic – a relentless focus on the customer. Crowdsourcing first emerged around 2000 with the online design of T-shirts and it progressed to the development of virtual worlds. You can basically outsource almost any problem using Freelancers. Brands now pay less than it did a few years ago for the same quality and quantity of ads. You’ve probably contributed to crowdsourcing without you knowing it. Leverage crowdsourcing very carefully: read each description and review sites before making a choice. Make a detailed description of your project. Work closely with your team. Not long after crowdsourcing came into the picture, crowdfunding, beginning with Kickstarter. If you have a great idea, tap the crowd to fund, develop and even market it for you – in a shorter period and at a lower cost. Competitions that offer huge prizes for innovations. Have a clear understanding of your target. Open your competition to a large enough crowd of innovators to tap into and keep the competition long enough to make the scope of your challenge. Create your rules to encourage and motivate creativity however, provide incentives for the results that you are aiming for. Sensor Visions – This uber-network will roughly generate $19 Trillion in value. Artificial Intelligence (AI) – Just imagine a system that recognizes the face of people and provides us the names. Look for Ideas in different places. By running incentive competitions, you may be able to spark genius in people and teams globally. Advanced technologies, bigger networks and quicker computers place unbelievable power in the hands of ordinary people at a lower cost. “Exponential growth” models have already replaced established “linear growth” models. Leverage using crowdsourcing to be able to build and market your ideas. How revolutionary change is creating new opportunities by crowdsourcing and crowdfunding. How to leverage widely available tools to make your great idea into a reality. For more information regarding the author and the book, please click the link below.